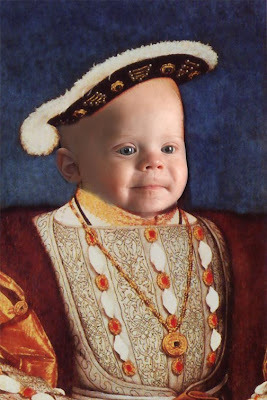 Besides turning my baby cousin into Henry VIII. The 16th Century suits him, though, don't you think? Oh my God, this is hysterical! What a cutie pie. The proud Gram thinks there couldn't be anything more important than this! Too cute...he definitely resembles the mature Henry. Why does Gram post anonymously?